Wild Marjoram essential oil has a spicy, warm, herbaceous aroma that is much more camphoraceous and medicinal than Sweet Marjoram. It has a soothing effect on the mind and body and an affinity with the joints, muscles and respiratory system. Wild Marjoram essential oil is steam distilled from the leaves and flowering tips of Thymus mastichina which is known as 'Wild' or 'Spanish' Marjoram. Contrary to its name, this bushy herb is actually a wild-growing species of Thyme, native to Spain. It should not be confused with Sweet Marjoram, extracted from Origanum majorana, which has a completely different chemical composition. Wild Marjoram contains a high amount of cineole (eucalyptol) which gives it a stronger, more medicinal aroma. Wild Marjoram was originally used in herbal medicine by the ancient Greeks. In modern day aromatherapy, it is used for its analgesic, antispasmodic, antiseptic, anti-fungal, decongestant, mucolytic and sedative properties. Wild Marjoram is good for Athlete's foot, bruises, cuts and sores. Wild Marjoram essential oil is soothing for nervous disorders and stress-related conditions. Wild Marjoram essential oil is most commonly used in aromatherapy blends for aching muscles, sprains, strains and stiff joints. Also useful for viral and bacterial infections and for treating respiratory problems such as catarrhal coughs and bronchitis. 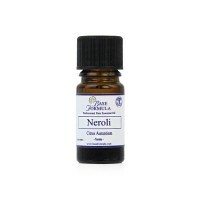 Bergamot, Cedarwood, Clary Sage, Cypress, Lavender, Lemon, Neroli, Rosemary, and Thyme.